Alderman John Collins-Muhammad (D-21st) first introduced the resolution before summer recess. Aldermanic President Lewis Reed was the resolution’s only co-sponsor. The bill would establish a lease program in which interested rehabbers could obtain an 18-month lease on the property, and undertake a rehabilitation that would need to be completed in that time frame. The rehabber would have to repair the building to a condition of “stabilization” within 120 days, and complete all work within 18 months. If the rehabber obtained an occupancy permit for dwelling within 18 months, and signed an agreement to occupy the building as a primary residence for at least five years, that person would pay only $1 to purchase the house. 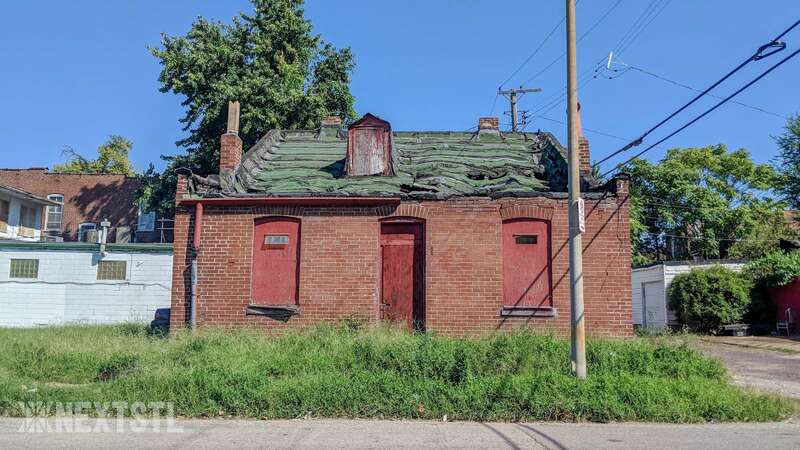 This is not the first time that city government has attempted to sell off LRA houses for $1 or other token amounts, but it does come at a time when the LRA inventory has soared to a historic high of over 11,000 properties (at least half of which have vacant buildings on them, although the exact count is unknown). 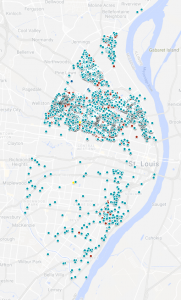 The LRA itself is the product of targeted political organizing by rehabbers in the city’s Lafayette Square, Soulard, LaSalle Park and Hyde Park neighborhoods, who found it impossible to get clear title to vacant tax-delinquent properties. Before the City of St. Louis chartered LRA in 1972, rehabbers either had to locate owners or attempt to initiate a judicial foreclosure on property, which required potential high legal costs and the chance that deadbeat owners could seek continuance after continuance to wear them down. LRA and the state land reutilization law created clear procedures for both foreclosure and ownership – any foreclosed property not redeemed by its owner or sold at a required auction would become the LRA’s property. LRA could then sell these properties to buyers with cleared titles. LRA thus began its mission in 1973 to be a turnkey aimed at neighborhoods with high vacancy and growing buyer markets – like those already mentioned. LRA was intended to extend the reach of rehabbers looking for houses, so that they could tackle the zombie houses and eyesores with the help of their own government. 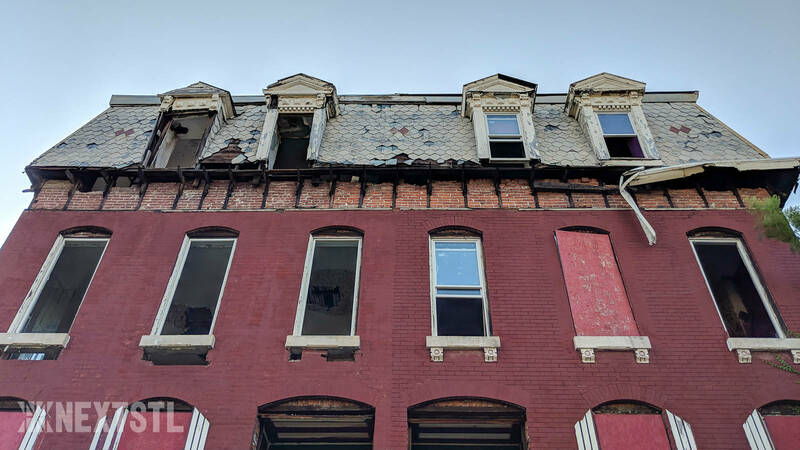 In 1974, LRA offered anyone who wanted to rehabilitate one of its own vacant Lafayette Square townhouses a $300-$600 lease if they would finance rehabilitation. LRA would transfer the title for no cost upon completion of work, and at least ten houses were rehabilitated and occupied using the program in the first year. LRA expanded its homesteading focus in the early 1980s, with full-page advertisements of available properties in the St. Louis Rehabber magazine. In 1983, the LRA opened a lottery for the first “dollar houses” – 10 houses selected for condition available for a $1 sale and carrying $5,000 in granted rehabilitation funds. 300 applicants tossed their names in the lottery, and 29 were finalists before the LRA selected the 10 winners. All houses were north of Delmar Avenue. Winners had between 6-18 months to make repairs. Then-Mayor Vincent Schoemehl forecast future lotteries to follow. The first elected official to push for LRA to give away houses to homesteaders was State Representative Louis Ford (D), who proposed in February 1983 that the city divert $5 million in revenue from the utilities tax toward home renovation grants and job training for low-income people in north city. Ford called for targeting 6,000 houses owned by LRA and private parties in a concentrated area, so that neighborhood stabilization would be a primary rather than secondary outcome of the program. 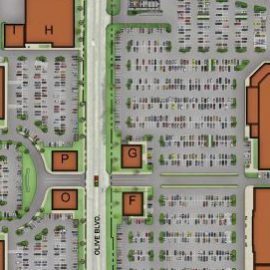 Then-Mayor Vincent Schoemehl, Jr. opposed Ford’s proposal, stating that he favored policies that would make such opportunities available on a scattered-site basis. Schoemehl, however, had argued for retaining the utilities tax when he took office in 1981. The Board of Aldermen had passed legislation gradually eliminating it in 1979, but the new mayor wanted to retain it at a frozen 5% rate. State Senator J.B. “Jet” Banks (D), a powerful force in north city politics, endorsed Ford’s idea but stated that a different revenue stream should fund it. Many viewed the utilities tax as regressive and punitive toward poor families. Ford’s idea withered, and went nowhere. LRA did offer sales of less than $100 per house to low income families in 1984, but the results were not game-changing. In April 1984, the LRA launched its “Adopt a Lot” program, in which it enabled $1 annual garden leases for any of the empty lots then in the landbank inventory. The program was quite successful, and many early leased lots are still leased as gardens. Alderman Freeman Bosley, Sr. (D-3rd) revived Ford’s idea in February 1984, when he sponsored a bill similar to Collins-Muhammad’s resolution. Co-sponsored by eight other alderpersons, Bosley’s bill directed LRA to sell all houses for $1 to any private citizen who agreed to use the house as a primary dwelling. US Representative William Clay (D-1st) told reporters that $100 million in new federal housing funds soon would be coming available, making Bosley’s plan timely. The Association of Community Organizations for Reform Now (ACORN, now defunct) offered assistance of $1 million toward any person needing rehabilitation funds should Bosley’s bill go through. Alderman Martie J. Aboussie (D-9th), chairperson of the Public Safety Committee to which Aldermanic President Tom Zych (D) referred the bill, opposed it based on skepticism that it would be effective at expanding homeownership. Yet when the committee held a public hearing on February 22, 1984, over 200 people showed up. Everyone who provided public testimony supported Bosley’s plan, except for Director of Public Safety Thomas Nash. Still, the bill never proceeded to a vote of the full Board of Aldermen. Instead, Schoemehl’s administration funded a homesteading program targeting LRA houses in May that year, with only $100,000 in available funds from Community Development Block Grants. LRA crafted its own affordable sales policy in November 1990, announcing the availability of over 1,000 properties for prices ranging from $90-$155 dollars per parcel. The LRA had been selling the same lots for $150-$450 before. Under this program, the LRA charged $6 per foot for the first 15 feet of a lot’s street frontage, $3 per foot for the next 15 feet and $1 per foot for the remaining frontage. Sales were slow. In 1990, LRA reported an inventory of 6,007 parcels by year’s end, with 524 added and 224 sold. A few months later, the St. Louis Post-Dispatch reported on June 25, 1991, that Diehl Gooden was battling LRA over the purchase of an abandoned house at 3135 New Ashland Place in the Greater Ville neighborhood. 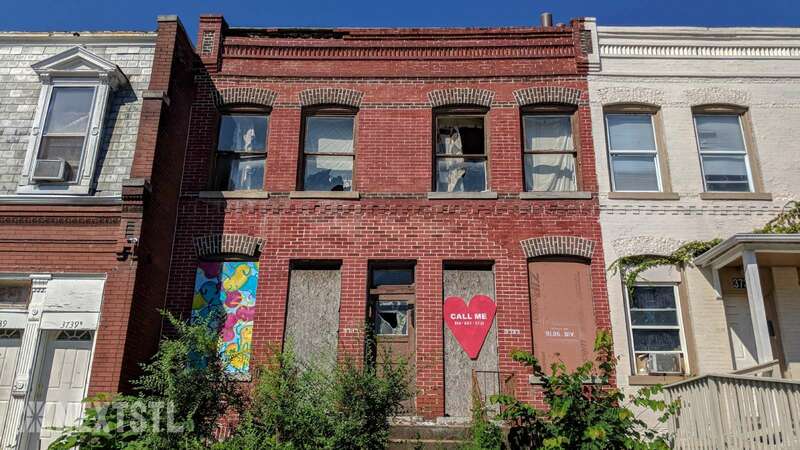 Gooden had offered $600 for the building, which he had begun stabilizing, but LRA insisted on a $4,035 sales price based on outstanding leans and an appraisal by favorite consultant Eagle Realty Company. When Gooden appealed, LRA dropped its price to $3,228, and alleged that Gooden failed a means test for assessing his ability to complete rehabilitation. Then-Alderman Michael Sheehan (D-10th), who represented an area that included the Gravois Park neighborhood, argued against LRA’s sales practices, stating that the agency ought to incur a loss and sell houses for $1. 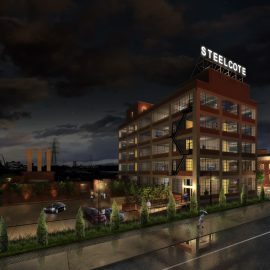 Sheehan’s view was echoed by then-Building Commissioner Martin Walsh and the St. Louis Alliance of Community Organizations (SLACO), which continues to press for reforming LRA. SLACO organized the now-successful Proposition NS referendum that will make available funds for stabilizing vacant LRA houses. 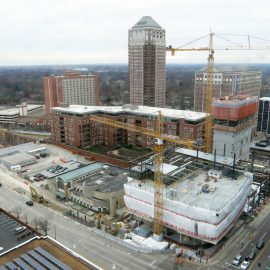 Mayor Schoemehl strongly backed LRA, however, dismissing Gooden’s cause with this curt statement: “We’re not going to tie up assets because someone has walked in with a box of nails.” LRA prevailed, and today the parcel at 3135 New Ashland Place remains in its inventory – minus the house, or any other houses on that side of the street. Then-Comptroller Virvus Jones told the St. Louis Post-Dispatchat the time that he thought that Mayor Schoemehl and other officials preferred the LRA to be a “landbank for developers” and were hostile to sales to people who wanted to fix up and occupy LRA houses. One day later, National Association for the Advancement of Colored People (NAACP) President Charles Micheau told a reported that it was “absurd” that St. Louis lacked a homesteading policy. 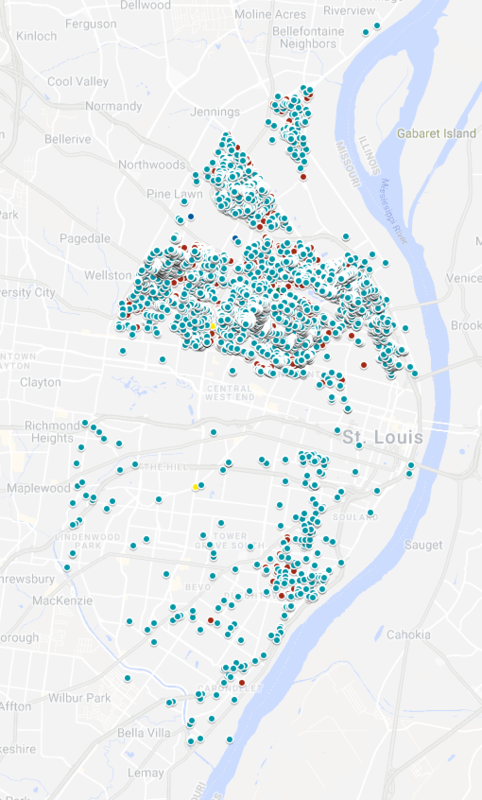 ACORN chimed in with an offer for $6,500 in down payment grants to eligible buyers looking at vacant houses in St. Louis. Schoemehl was not moved. Then-mayoral spokesman Dan Slickman called Micheaux’ comments “sensationalist.” Slickman said that the mayor favored reforming “national urban policy” instead of changing LRA practices, although did not substantiate which practices would impact public access to LRA houses. In 2016, Aldermen Cara Spencer (D-20th) and Chris Carter (D-27th; no longer serving) successfully pushed through a major reform for LRA-owned empty lots. The pair crafted a bill authorizing LRA to create a Mow to Own program that gave residential-zoned lots away for free to city residents who would maintain the lots and pay the property taxes. In 2018, LRA added commercial-zoned lots to the program. 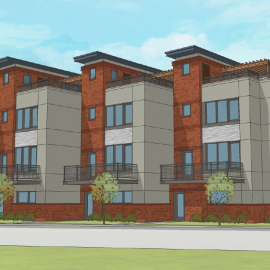 LRA reports that 174 parcels have left its inventory through Mow to Own. 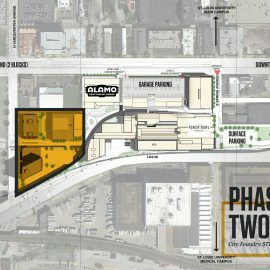 The saga of efforts to enact “dollar house” policies and the common discourse of opposition – that citizens are incapable of rehabilitation and that the city needs to bank properties for “large scale” site assemblage – reflects the persistence of two separate views of what LRA is supposed to serve. To proponents of dollar houses, LRA should serve the needs of city residents who are seeking shelter and opportunities to build personal wealth. To others, LRA should serve the agenda of real estate growth machine, which is assumed to have a larger overall benefit through increased tax revenues, land values and job creation.